FFor more information check out our Odyssey Arena, Belfast: FAQs below! If there are any questions we haven’t covered, please leave a question in the comments section. See the layouts for the Odyssey Arena Seating Plan in our gallery below. (Click on images to enlarge). 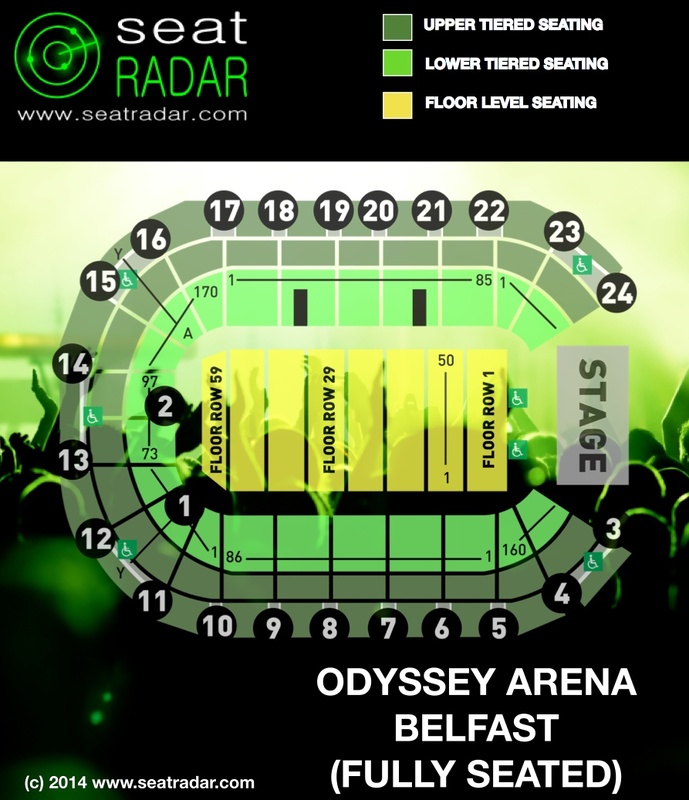 What are the best seats at the Odyssey Arena, Belfast? 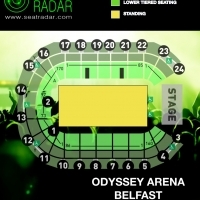 What is the view like from Block [...] of the Odyssey Arena, Belfast? Are these good seats? 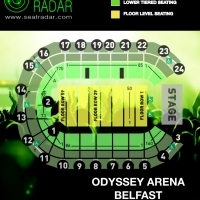 Have a question about the Odyssey Arena, Belfast? Leave a comment below and we’ll do our best to help! Where is north upper block 2 row T? Is it a good view of the stage? Did you find out anything about those seats? I am looking to buy U2 tickets in that area but have no idea about this arena and if the seats are any good. Hi just want to know what seat 145 east lower tier row f is like . I am going to book tickets for disney on ice, I would prefer to be at the front. Is row 1 the front or is there ice rink tickets infront of this?? I had rink seats last year which were classed as rink side. I think row 1 is a few feet behind. Rink side are VERY close. I don’t know if they are more expensive as didn’t price others. I’ve gone with row 1 this time. Would Adele tickets in east tier row y seat 10/11 have a clear view of the stage? Just booked tickets for Russell Howard and have seats using the west lounge . Section SWEST , row A seats 23 – 22 any comments please . Just bought tickets for Adele on 1.3.16. Stand/row 358/seats 8-9, having difficulty finding where these are. Can you help? Hi I’m just wondering if NTHL1,ROW B, SEATS 81-82, is good seats or close to the stage for the vamps 2016 tour? Seats 72/73 would be like, it is for little mix. What are those seats like? Do you have picture for South lower tier row j? Hi – my friend and I have tickets to see 5SOS next week. Our seats our East Upper Tier, Row R, seats 145 & 146. Are these any good? Can you tell me if the seats are good? this is a first birthday present of us bening husband and wife and im treating my husband to a good nigh out. I want to purchase tickets for myself and 2 daughters 11 and 13 to see mama mia what seating area is best to choose to ensure my girls will be able to see? I have been offered floor seats in the 20s are these good? Hi I’ve just got seat for def Leppard in the belfast odyssey lower left tier row D seats 55 & 54 are these good seats thank you . I iv purchased tickets for WWE East tier row V r these seats suitable for a small child? Ive tickets for the wrestling on april 10 for my 11 year old daughter and myself. They are on block f row 10. Will they be suitable for her? Hi Darren, they are a decent location for the ring. They are floor seats so not tiered but provided she isn’t particularly short for her age she should be fine! why am I given seats and rows for one direction if its standing? Hi Shannon – when this happens it’s generally just the venues way of tracking how many tickets are sold etc. I have tickets for Carl Frampton block b row 8 seat 14-15. Can you please tell me will the boxers come in past us and what block will the judges be infront off. Also are these seats at the end of a row? Hi, have just bought tickets for disney on ice for myself and 3 yr old daughter. They are south upper row m seats 12-13. Will we get an ok view from there? Worried my little one won’t be able to see properly . Hi Christine, ideally you’d have a slightly higher seat number which would give you a more central view. In seats 12/13 you’ll be located somewhat towards one end of the rink but this shouldn’t be too much of an issue. The seats will be relatively high up but – on the plus side – it’s properly tiered seating which should mean that your little one isn’t struggling to see over heads etc so actually in that respect it’s not a terrible thing. Overall it should be fine – we’d really love to hear how it goes and to have a photo of your view for our gallery! When’s the show? I have just purchased 1 ticket for Take That North Lower tier Row K seat 60. Does anyone know if that will be a good view or not please? im going to see wrestling and the tickets are North Tier – Row W, is that far back? Hi Kristian it is towards the back, yes. Trying to decide between the West Lounge (Electric) or the Heineken Lounge (Bar Vista). Not sure why there are so many names for these two VIP lounges. Anyway, they are exactly the same cost. Anyone been to both? This is for the Usher show. I have tickets given to me for the Car Frampton fight they are in the East tier Row Y seats 141 and 142 are these near the back?? 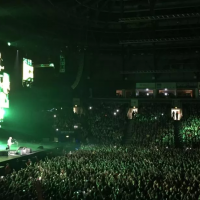 Hi Elisa – the East tier itself is the area closest to the stage. Row Y is at the back of that tier though yes. Hey Issy – we’d probably choose the lower tickets ourselves but the others are of course closer to the stage so probably just a matter of personal preference in the end. What did you book? For darts north lower row e seats 18&19 are they further back from the stage or close? Hi Lynette, glad to hear your daughter is on the mend – we wish her a speedy recovery! We believe that the seats run from 1 to 43 so we’ll assume you are in seat 43? It is correct that the view will be side on but the venue assures us the view is not classed as restricted. The whole East Upper tier is very close to the stage so we’re confident you’re daughter won’t mind the side-view and will be delighted just to be that close to the 1D boys! If you have any specific concerns please do check directly with the venue for peace of mind. Have a great time both of you! Hey Steph – does your ticket mention an entrance number? Hey Steph – the seats in East block run from 1 to 43, 43 being the most side-on. We’ve spoken to the venue about this before and they assert that even 43 is only a side-on view rather than restricted. With those sorts of seats it’s always a trade-off between the angle on one hand (possibly a downside) and the fact that it does mean you are actually quite close to the stage. We think you’ll still be fairly happy with those seats Have a great time and please do come back to upload a pic after the show! Hi there, i have just purchased tickets for Kiss Fm Jingle Ball 2015, we have got north lower tier, row A seats 25 to 28 picked these as i thought it would be good for my young daughter as there would be no one directly in front of her. I am now worried that it is at the same level as the ground seating and that i might not be better off than the other seats that r still available on row 15 seats 5 to 8 on the ground in front of the stage, Please help . 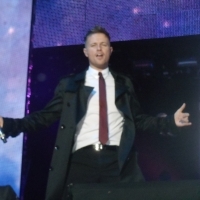 Hi Maura – understand your concerns but overall you’ve probably made the right choice – the seats are fairly well located and there is a gap between the front row of the tiered section and the floor seats so you’ll probably still have a much better chance of getting a clean line of sight than you would 13 rows back on ground level. We’d love a photo for the site, have a great time! Hello . Can you tell me please which of these seats are the best. Section STHU row W… V….U…. T… S. Thank you. Hi Noreen – the rows start at A (at the front) and go up from there so on the assumption you’d like to be as low/close as possible you’d for for Row S. Hope that helps. I cant tell by the seating chart where these are – do you have any idea if they are good seats and roughly where are they on the chart? Hi Louise – on the chart the top is the North area and the bottom is the South area. The dark green is upper and the light green is lower. Numbers in black circles are entrance numbers. South Lower Row E 63/64 – in the light green area between entrances 8 and 9 at the bottom of the plan, 5 rows back from the front. North Lower Row C 25/26 – in the light green area between entrances 18 and 19 at the top of the plan, 3 rows back from the front. They’re pretty similar locations, just opposite each other. Both lower tier and both are in rows near to the front of their respective blocks. Overall they’re decent seats. I just got tickets for Nicki Minaj in row t seats 5-6 in section sthu are these any good ? 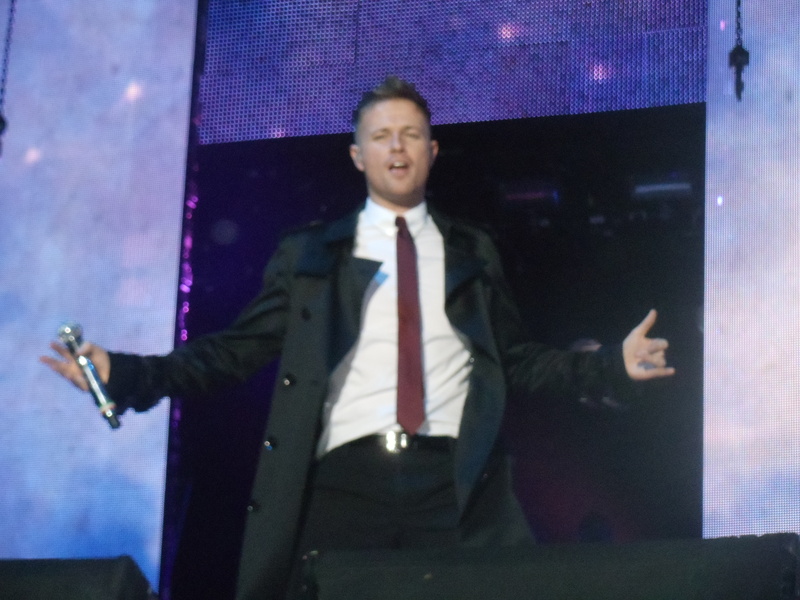 Hi I have tickets for south lower tier row b seats 43 and 44 for Nick I minaj are these pretty close? Hey Lisa – well Row B is good of course. In terms of how far along the side they are you’ll be about halfway near entrances 7 and 8. Hi Morgan – you need to find out which entrance you are coming in through (4 to 23) and/or which tier you are in (North or South) as there is more than one seat with that Row/Number! Hey Chiree, yes these will be pretty good. You’ll be roughly in front of Entrance 7 (see our seating plan) and 9 rows back from the front in the lower tier. Hey Maxine – if you look at our seating plans you’ll be in the light green area, four rows back. So that’s great on both counts You just need to know your seat numbers to work out exactly where. The numbers in black circles are entrance numbers, you’ll be coming in somewhere between 15 and 23 as that’s the North Tier (your code means North Tier Lower). Enjoy the show and please do upload a photo after the show! When is it? Awesome, that would be great thanks! Hi. I purchased tickets for 1D for myself and my 7yr old daughter. It stated we needed seating as my daughter is under 14. My tickets are north,row 61 seats 2&3.. are these the correct place to be even though my confirmation says standing? Hi Kareen – sometimes tickets have “row and seat numbers” on them even though they are standing tickets. This is usually down to the ticketing agent (it’s essentially a way to track the tickets). Best thing in this case would to be check directly with whichever company sold you the tickets. Believe the rows run A to Y from the front to back in which case you’ll be 9 rows back. Hi Carmel – standing tickets are usually general admission in which case it would just be “first come first served”. Standing tickets sometimes have row and seat numbers on them in any event just for the venue to keep track of tickets. Might be best to check with the venue if you don’t think that’s the case here but otherwise just get there as early as possible and get as far forward as you can! I just wonder what the seats are like in Lower South Side seat 20 row D? Where about in the arena are they and do you get a great view of the stage from that seat? When I go to arena contents I get seats in the tired side seats as I think they have the best view. I always try to get them not to close or not to far away from the stage. I hope you can help me out. 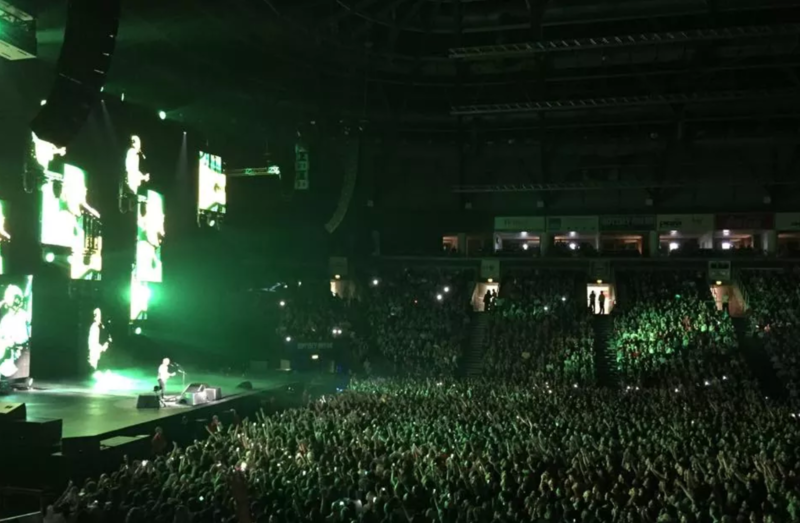 - We tend to agree with your general philosophy (as you wrote on the thanks for commenting page) that lower tier side seats not too far forward/back afford a decent/good view in most similar venues. On the whole we think they should be pretty good seats, sorry we can’t be more specific! Hi Anita, unfortunately we don’t have any first hand experience (or user photos) of the WWE seating arrangement (which is different to music concerts) so we’re not really able to help If you contact the venue directly, they should be able to assist.